Network Technician Nick Mitchell (Left) discusses implementation among the stacks of new technology with Founder Baker Mitchell (Right) at The Roger Bacon Academy’s Charter Day School. 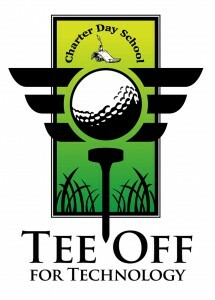 The school is also looking for companies to donate items to our golf tournament raffle or auction. The Roger Bacon Academy’s Charter Day School is a tuition-free, open enrollment K-8 public school in southeastern North Carolina. 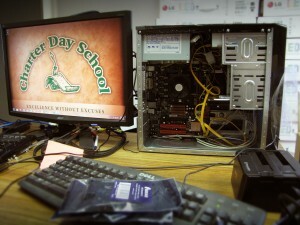 Since 2000, Charter Day School has focused on quality education and is a premier performance-driven year round school. Widely recognized as a compelling choice to conventional public education the school has built a reputation for dedicated and highly qualified teachers that give students a strong and proven academic foundation. Charter Day School has received numerous awards, including the designation of being a Top-25 School for Academic Growth and of Excellence in the state of North Carolina.